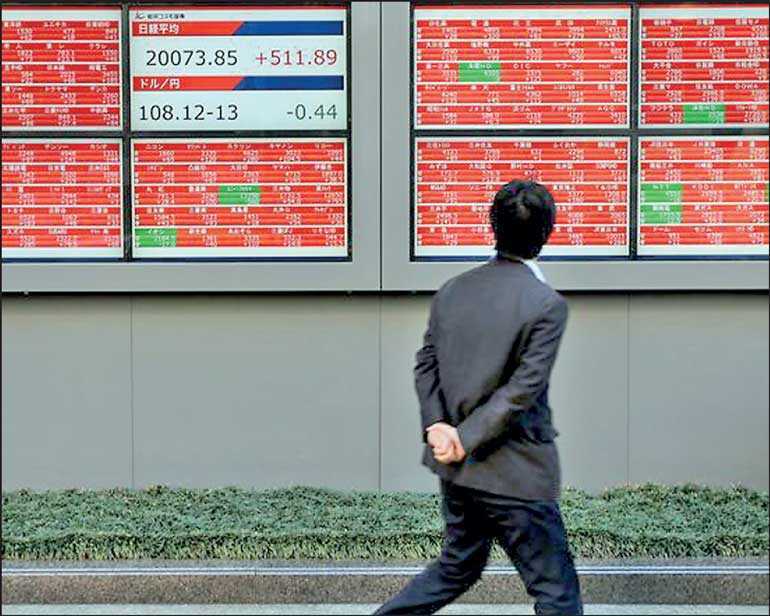 SYDNEY (Reuters): Asian stocks stepped back from near eight-month highs on Thursday and the dollar eased as European and US central banks reinforced investor worries about the global economic outlook and trade protectionism. In a fresh escalation of trade tensions, US President Donald Trump has threatened new tariffs on goods from the European Union even as the Sino-US trade dispute remains unresolved. MSCI’s broadest index of Asia-Pacific shares outside Japan slipped 0.3% after four straight days of gains took it to the highest since last August. US Treasury yields slipped in response, reinforcing expectations that the Fed would hold rates steady or possibly cut them by the end of the year.